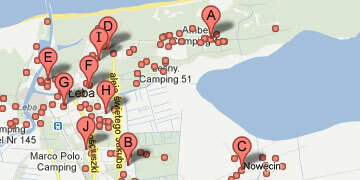 See a: pensions, apartments i rentals in Leba. Accommodation in Leba - see all objects. Pension Boja is located in a quiet district of the seaside town - Leba. We offer attractive rooms 2, 3, 4 or 5 people with bathroom and TV. All are neatly and nicely decorated. Bathrooms with showers. On each floor has a kitchenette fully equipped for preparing meals. The area is fenced guesthouse with free parking. In the evening you can sit down to a specially prepared barbecue grill corner or gazebo. For children we have a lot of green grass with a playground - swings, slide and sandpit. On site there is a possibility bikes . 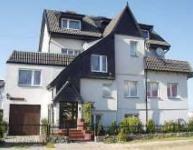 In the nearby vicinity is tennis court and horse riding . 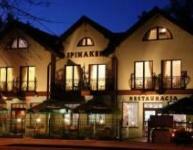 Spinnaker Hotel is located 350 meters from the beautiful sandy beach in the heart of the Slowinski National Park, surrounded by pine forest, which stretches from the sea to the dunes and Lake Łebsko. Rooms are equipped with air conditioning, refrigerator with mini bar, balcony, satellite TV and Internet access. 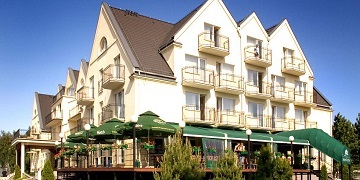 Guests can enjoy from the balcony of the dunes and Lake Lebsko located 700 meters from the hotel. We have a stylish restaurant, which serves specialties of Polish and regional cuisine and the drink bar with a wide range of drinks. Cafe bar with exceptional coffee and liquor is the perfect place to relax. Green Garden is located in the eastern part of the hotel, where guests can enjoy cuisine spinnaker. On the west side of Spinnaker Hotel on the edge of a pine forest is integrated into a playground for children.